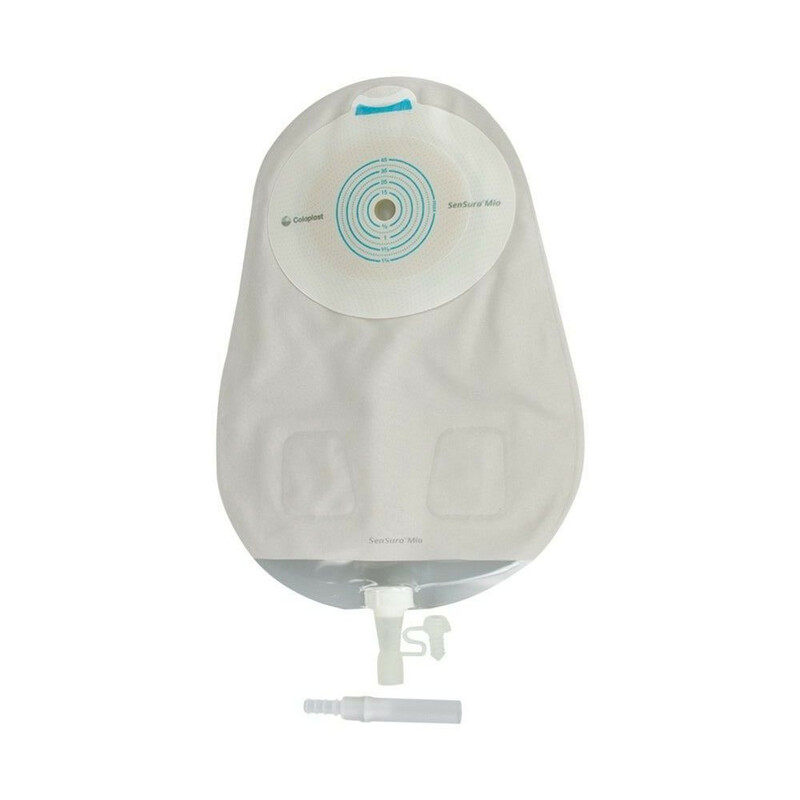 The Coloplast SenSura Mio 1-Piece Urostomy Pouch is a single piece urostomy pouch that is designed to be comfortable, discreet, and convenient. The pouch is one of the many options you have available for ostomy care. If you have a 1-piece system, then you attach your pouch directly to your body, this requires these types of 1-piece drainable pouches to offer a better adhesive for a sealed connection. The Coloplast 10586 1-Piece SenSura Mio Pouch offers a flat style design to keep it from being visible or intruding upon normal clothing. Being discreet is sought after in pouches, possibly more than the volume of capacity when it comes to selecting a pouch. 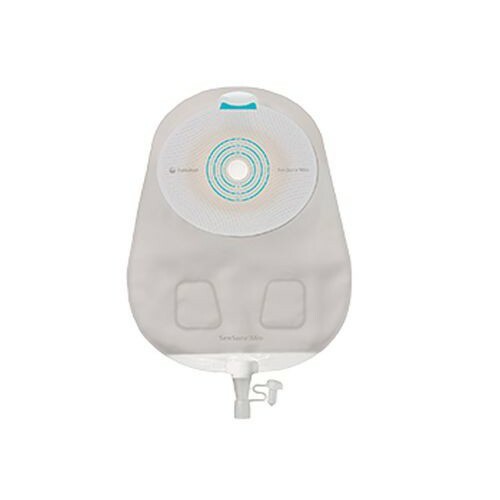 When using your urostomy pouch, you have options between a trim-to-fit stoma opening and a pre-cut opening such as the Hollister Premier One-Piece Drainable Ostomy Pouch - selecting the right option depends on size and convenience of adjusting the stoma opening to fit your personal need. The SenSura MioUrostomy Pouch with Cut-to-Fit Opening includes an updated adhesive elastic that can stretch far beyond to that of other adhesives you may have been introduced to. The flexibility of the adhesive gives you a better adjustment of fitting to the skin as it can move, stretch, bend and curve with your bodies natural skin. The drainable feature of the pouch is the main feature to introduce. The pouch can be emptied out through the valve located on the lower end of the bag to let content exit out; allowing it to be reusable until no longer needed. A grey textile finish to the pouch gives it a more natural look as to a type of clothing. If you wear a shirt or blouse that is a little more transparent, the grey color would make it seem like a dark patch underneath - this helps conceal the bag. Before replacing your pouch, clean the skin surface to increase sanitation and offer a better adhering surface, an option is the Smith & Nephew Skin Prep Protective Dressing Wipes.